View More In Dryer Parts & Accessories. Product size: 8.8" x 8.8" x 0.03" Customizable, Multi-Fit Sizing. Many vent hoods guards on the market fit only on one size vent, ending in customer frustration as they find they don't have the right fit. 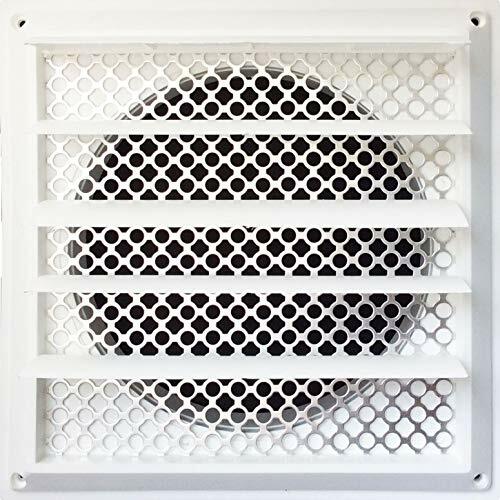 The Aroma Trees Aluminum Alloy Customizable Louver Vent Hood Cover Guard conveniently fits vents from 3" ,4" ,5" ,6" ,7" and 8" and can be easily adjusted. It can even be used for four(4) vents if each vent is 4" or smaller. Attractive Design. Function and form meet in this attractive Aroma Trees Aluminum Alloy Customizable Louver Vent Hood Cover Guard that is made with beautiful detail to compliment any home. Quick and Easy Install. The Aroma Trees Aluminum Alloy Customizable Louver Vent Hood Cover Guard requires no specialized tools or professional assistance to install and can be installed in just minutes. If you have any questions about this product by Aroma Trees, contact us by completing and submitting the form below. If you are looking for a specif part number, please include it with your message.